If you want more detailed information about this product, please search over the web for the manufacturers official page by inserting "Natural Wonder Pets Primalix Heart Hardy" or contact our customer service. Treated Safely and Effectively with Organic Herbal Formula: Congestive heart failure (CHF), particularly in older cats and dogs, is one of the more common problems vets diagnose these days. This heart disease occurs when the animal's heart functions abnormally because of deterioration in the valves, cardiomyopathy or a disease of the heart lining. Fluid builds up around the heart muscle making normal activity extremely tiring. Congestive heart failure can be treated with a number of medications – either conventional or herbal – plus corrections in lifestyle. Heartworms can, on rare occasion, be a cause of congestive heart failure. Also, coronary artery disease, while rarely diagnosed in dogs, occurs only with severe hypothyroidism in dogs accompanied by extremely high serum cholesterol levels. Conventional Medications For CHF Veterinarians generally treat congestive heart failure in dogs with enalapril maleate, an ACE inhibitor drug that helps the heart pump more efficiently. Lasix (generic name furosemide) is a diuretic that is used to remove fluid from the body. Other medications are available to aid heart function and remove fluid buildup. For congestive heart failure in dogs, veterinarians recommend a low-salt diet to prevent excessive fluid buildup. If you prepare your own homemade form of dog or cat food, avoid adding salt or seasonings that contain sodium. Fish Oil - Fish oil is rich in omega-3 fatty acids that support heart function. It can be used to increase appetite and reduce muscle loss from poor eating. 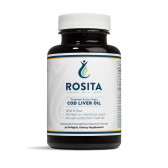 We recommend the ECVLO cod liver oil. Primalix Heart Hardy What is it? 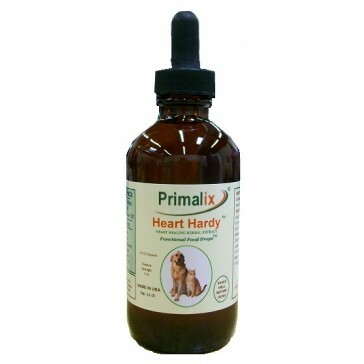 Primalix Heart Hardy - Herbal Extract - Functional Food Drops Primalix Heart Hardy is the 100% natural cardiotonic for restoring and maintaining normal heart function in all breeds of domestic dogs (large and small) and cats. Heart Hardy acts directly yet gently on the heart and circulatory system to help promote muscle strength, regularity, and normal blood pressure. Only drug-free, side-effect-free USDA Certified. Organic whole plant constituents used. 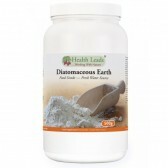 Acts as a mild diuretic to reduce excess fluid retention. Heart Hardy helps reverse symptoms and effects of heart disease and CHF in dogs and cats. Comes in convenient Functional Food Drops TM. Coleus Forskohlii improves heart health, blood pressure, and increase oxygen transport. It works on muscles in the heart and in blood vessel walls producing a more powerful heartbeat and widening of blood vessels. Ginger Root lowers cholesterol and helps prevent blood from clotting. Which helps treat heart disease where blood vessels can become blocked and lead to heart attack or stroke. Ginkgo biloba addresses problems related to poor blood flow by thinning the blood, reducing high cholesterol, hardening of the arteries (atherosclerosis), blood clots, and heart disease. Small Cats & Dogs (2,5 kg and under) 1/2 dropper twice daily. 2,7 to 9 kg 1 dropper twice daily. Medium Dogs (9,1 to 27 kg) 2 droppers twice daily. Large Dogs (27,1 to 45 kg) 3 droppers twice daily. Giant Dogs (45,1 kg and up) 4 droppers twice daily. NOTE: This product should not be given to animals on any other heart medication and is not recommended for pregnant or nursing animals. One dropper = 1 squeeze of the black bulb (1.0mL) which fills the pipette about half full. Refrigerate after opening. Hawthorn Berry, Motherwort, Ginger Root, Gingko Biloba, Coleus, Filtered water, USP kosher food grade GMO free vegetable glycerin and apple cider vinegar, Citric acid. What a difference it's made! What a difference it's made! Rosa, my stumpy tail cattle dog, is nearly 15. She was due to start on Vetmedin for her heart murmur. I didn't like the list of side effects and found Primalix as an alternative. It was hard to get it to Australia, admittedly, but definitely worth it. Within only a couple of days she was brighter, her heart cough had stopped, and she has more energy again. My 12 year old Stella dog started having heart failure problems and in addition to the regualar pills I added Primalix Heart Hardy. After a few days she started to feel better and I also noticed that the heart cough from which she is sufferinghas decreased... it is a very good product which I recommend and will definitely reorder!